Mini Pumpkins Class - This weekend! I hope you are having a great week! I am still playing catch up a little bit from vacation! I did want to send you all a little note and let you know that the Mini Quick Curve Ruler class on making Mini Pumpkins is this weekend! 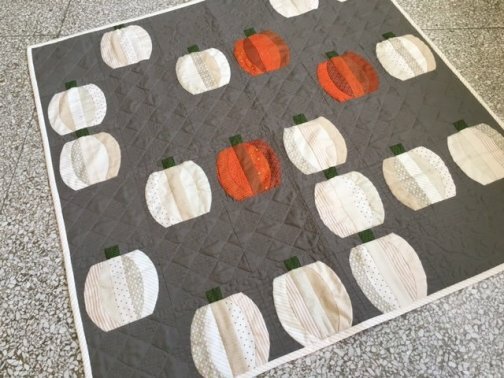 There are still a few seats available for anyone who is interested in making this fun wall hanging and learning the technique of the quick curve ruler! Mini quick curve ruler needed for class. This project finishes at 36" x 36" wall hanging. This is a fabulous skill building class! Give us a call at 308*344*9389 or email us at juststitchin2014@gmail.com if you would love to join us!